W. W. Norton & Company, 9780393240719, 256pp. 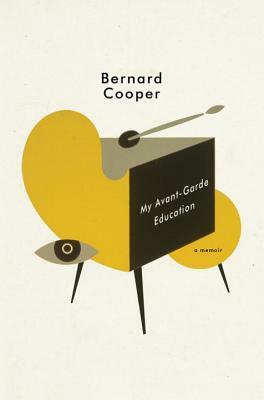 Growing up in the suburbs--confused about his sexuality, about his consumer-oriented world, about the death of his older brother--Bernard Cooper falls in love with Pop art and sets off for the California Institute of the Arts, the center of the burgeoning field of conceptual art, in this beguiling memoir. The most famous, and infamous, artists of the time drift through the place, including Allan Kaprow and John Baldessari, not to mention the student who phones the Identi-Kit division of the Los Angeles Police Department and has them make a composite drawing of the Mona Lisa. My Avant-Garde Education is at once an artist's coming-of-age story and a personal chronicle of the era of conceptual art, from a writer "of uncommon subtlety and nuance" (David Ulin, Los Angeles Times). It is a record of the wonders and follies of a certain era in art history, always aware that awakening to art is, for a young person, inseparable from awakening to the ever-shifting nature of the self.